Kory Clarke is a singer, producer, band leader, frontman and artist/painter. Brought up in Detroit during the hard rocking 70’s, he moved to NYC in 1984 and started confrontational hard rock outfit, Warrior Soul. Originally signed by Geffen records in ‘87, he produced and created the unique and incendiary firebrand that has released nine critically acclaimed albums including ‘Last Decade Dead Century’, ‘Drugs, God and the New Republic’ and ‘Salutations From The Ghetto Nation’ and ‘Destroy The War Machine’ . 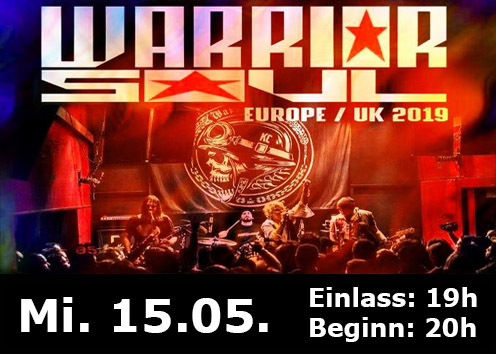 Warrior Soul are a band designed for rebellion and Kory Clarke is still leading from the front.